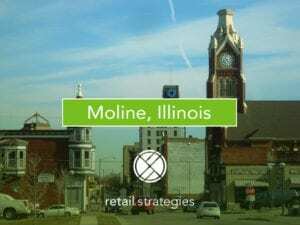 FOCUS TRENDS is a monthly retail strategies article on a specific retail category highlighting growth and contraction within the market. 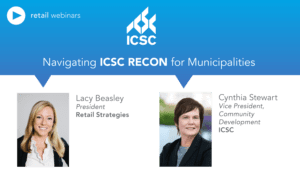 For more information, please see our WEBINAR on Casual Dining. 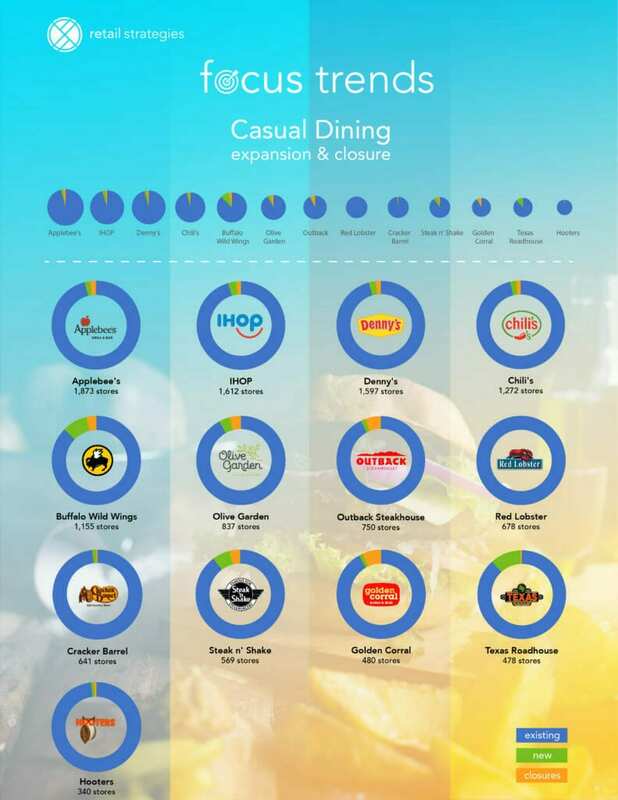 Declining sales and closures have been the story of the casual dining sector for the past year. 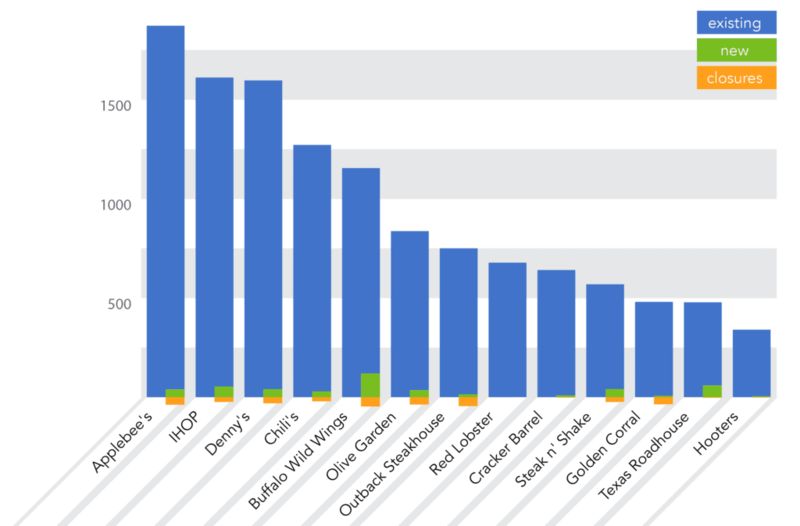 National “casual dining” chains such as Applebee’s and Red Lobster have had to rethink their real estate and operations as consumer preferences have changed. Meanwhile, the “fast casual” and “upscale dining” establishments have grown during the same time period. It’s not all bad news. Texas Roadhouse, Olive Garden, and others have stayed afloat and even expanded. Smaller cities desiring a sit-down restaurant have seen regional chains serving the customers that national chains no longer attract. 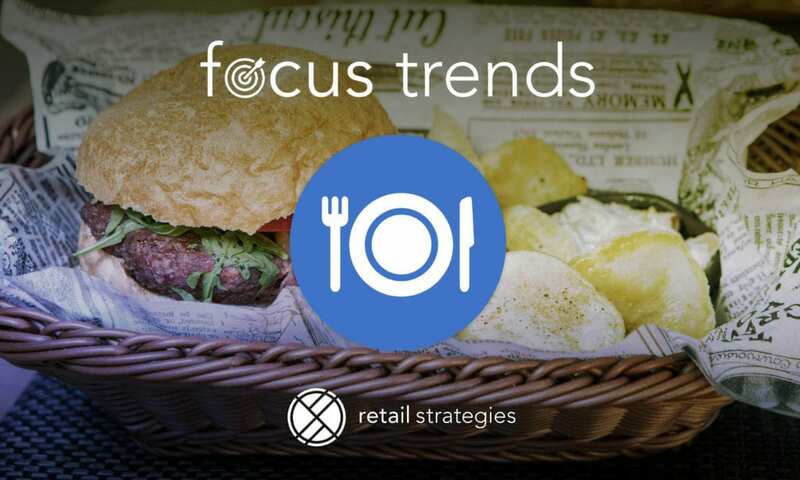 The mid-scale dining chains that will succeed are those that embrace the new dining trends. Offering home delivery, modern and healthy options, and a unique dining atmosphere are some of the ways forward for restaurants in this sector.